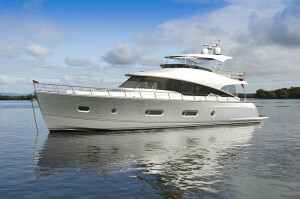 Exclusively available with the Riviera based sales office, RMJ. 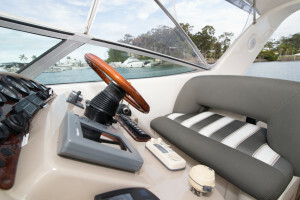 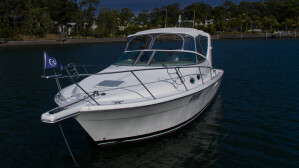 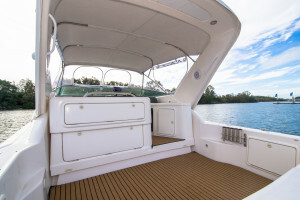 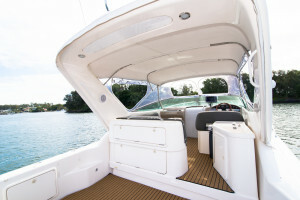 Vendor has recently spent over $20,000 on servicing/upholstery upgrades/NEW BOWTHRUSTER. 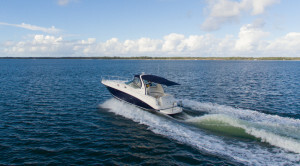 Has also just been antifouled/prop speed within the last 5 weeks. 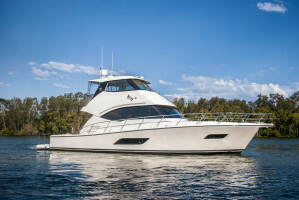 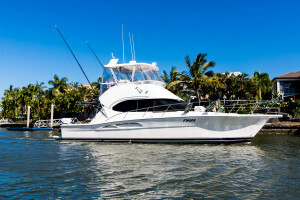 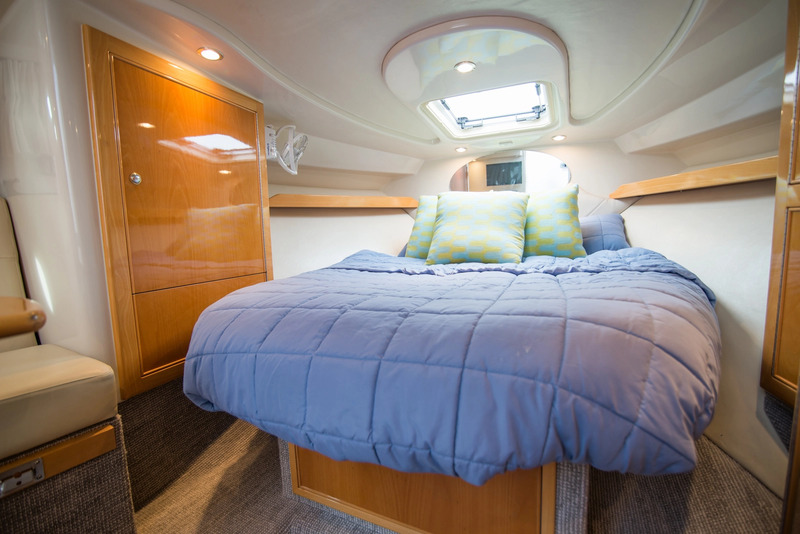 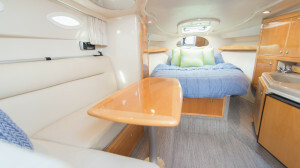 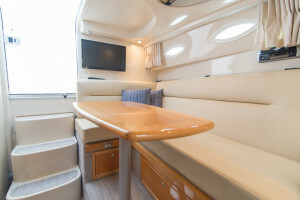 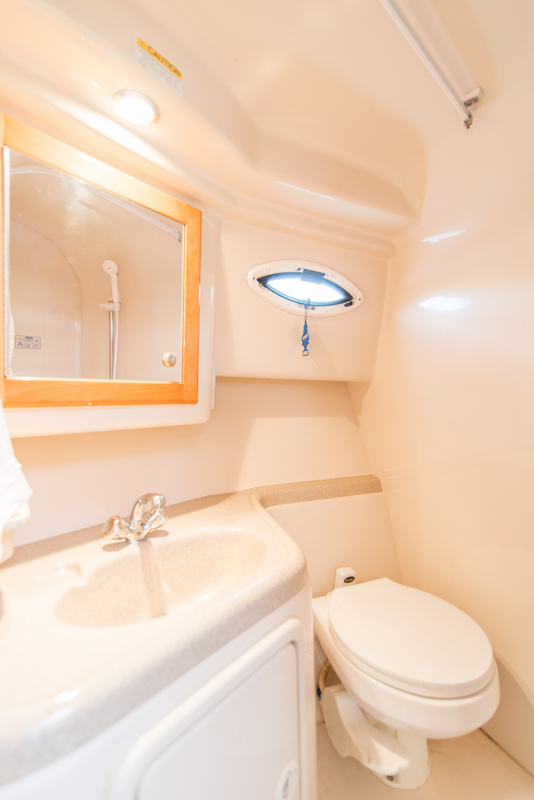 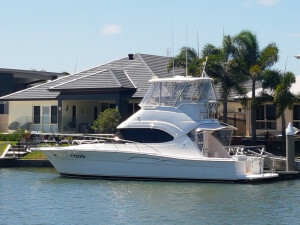 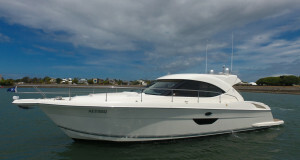 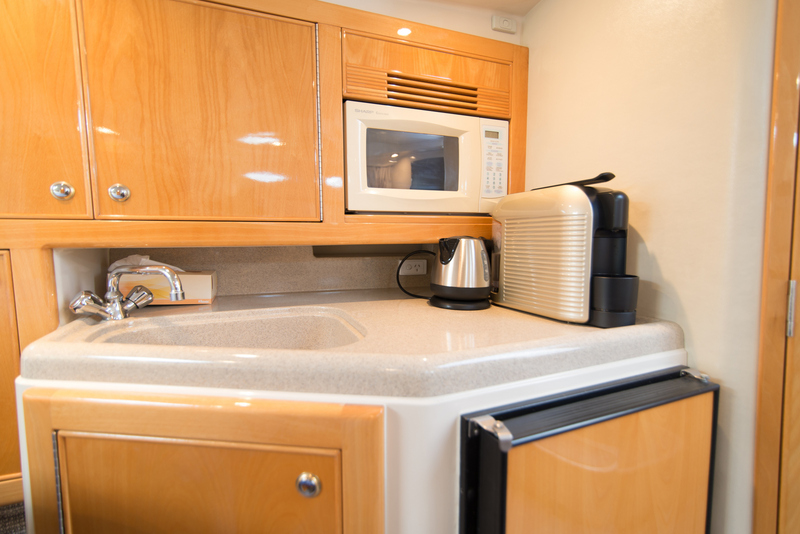 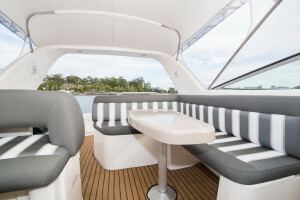 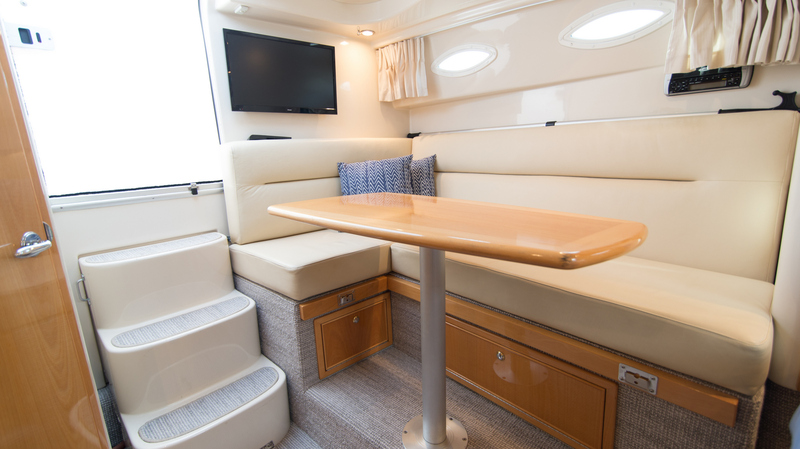 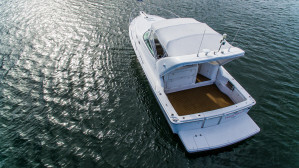 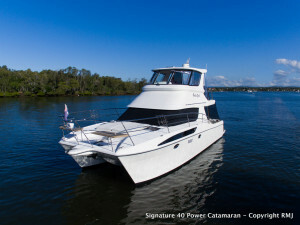 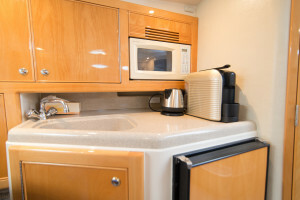 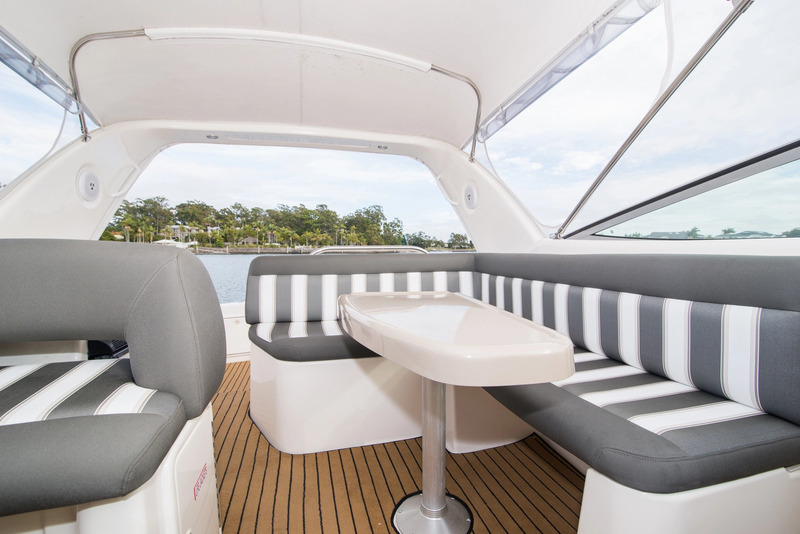 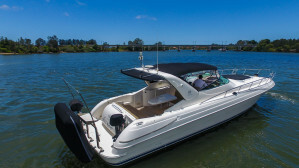 Are you after a 30 foot Riviera, with diesel shaft drives, copious amounts of cockpit space, plenty of seating for the guests or kids, and manageable on your own? 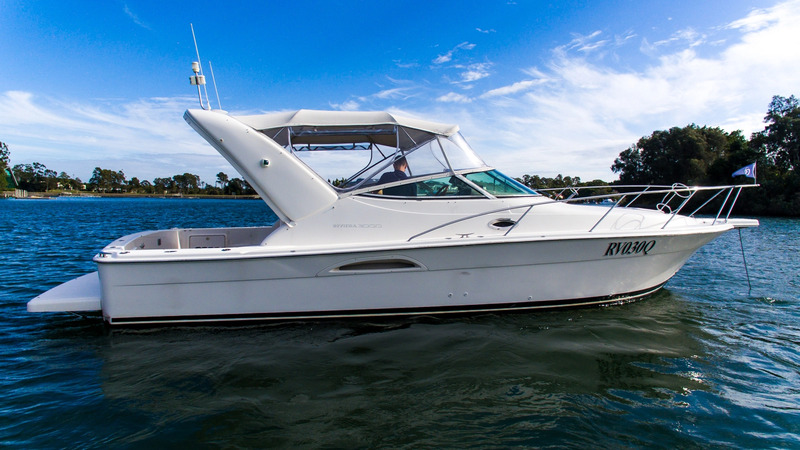 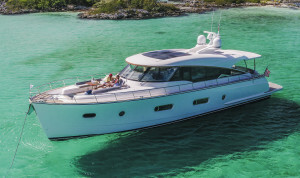 The Riviera 3000 Offshore Express is definitely for you, this has and always will be one of our most popular produced models for obvious reasons. 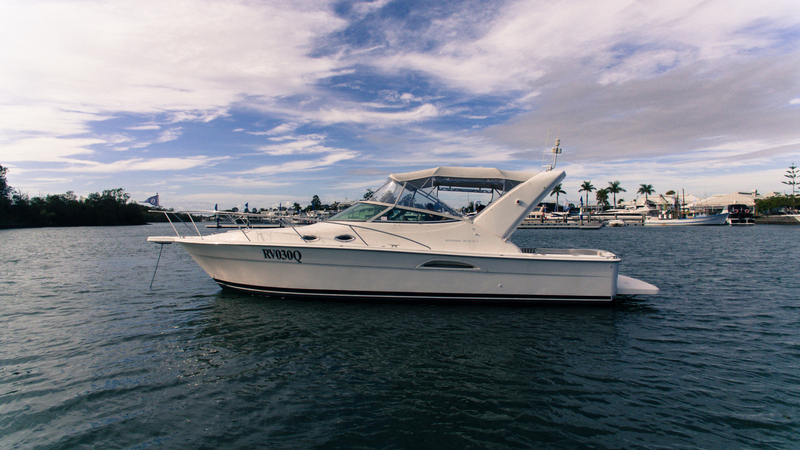 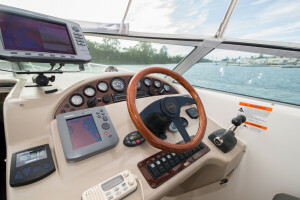 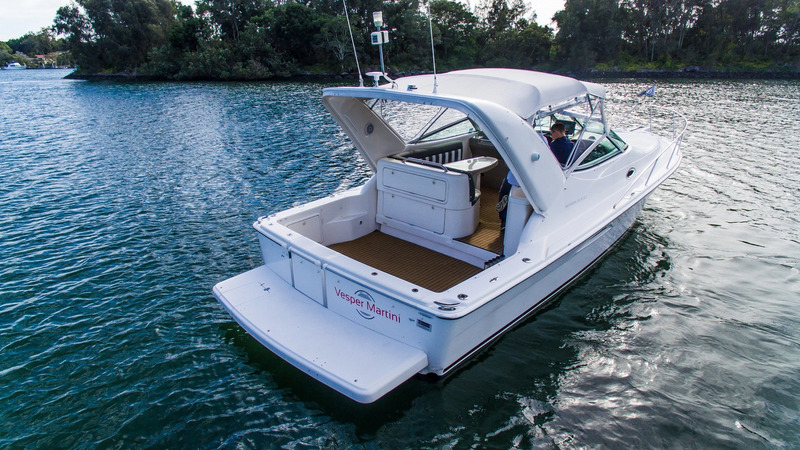 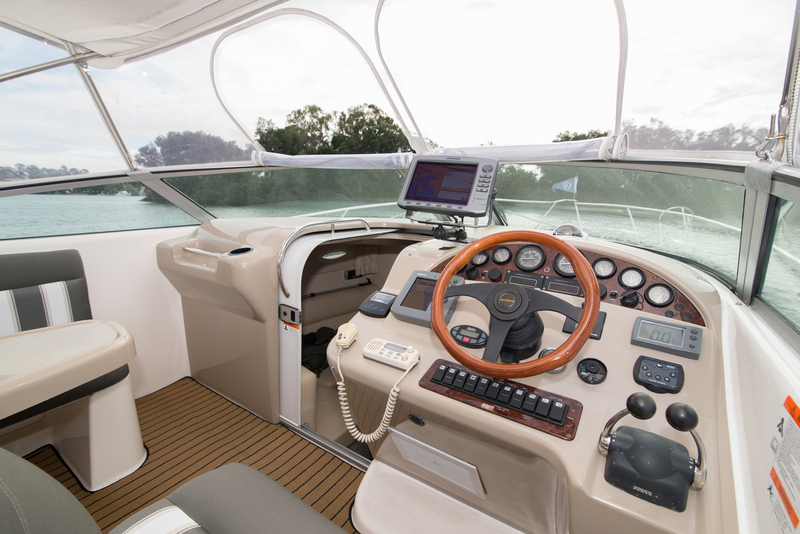 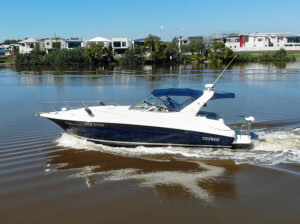 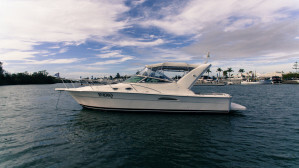 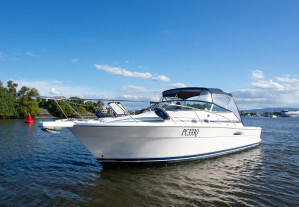 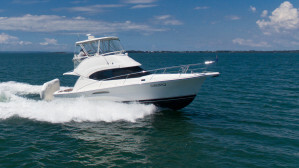 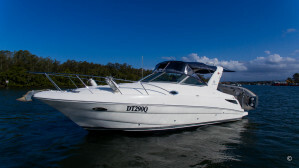 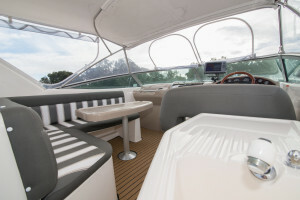 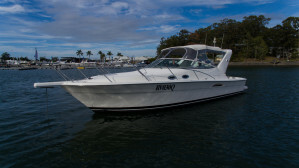 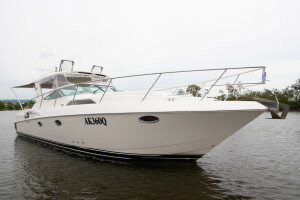 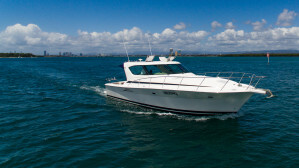 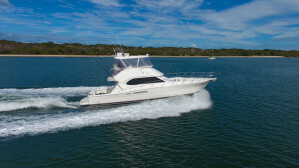 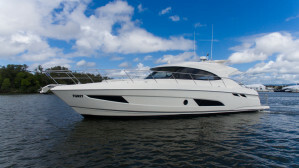 This boat was optioned with the largest engine configuration from factory, the Volvo Penta KAMD300, 285hp each. With great access under the floor at the press of a button. 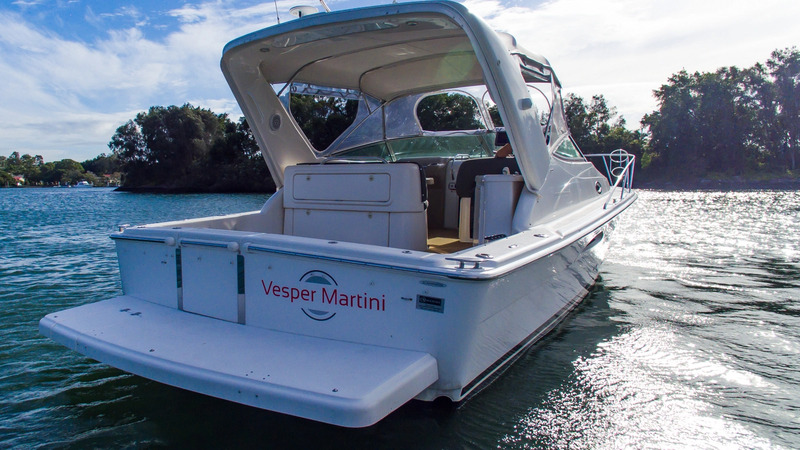 Vesper Martini has been kept to the highest of standards, the current owner's have recently re-upholstered the cockpit lounge to be the current Riviera colour choices, re-carpetted down-stairs, and replaced the bedding. 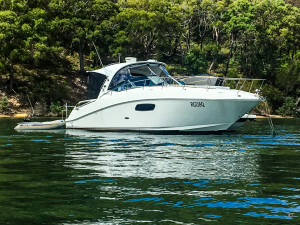 This boat presents in stunning condition.